Little One learning happens here! A love of reading is one of the top things I want to instill in my little Mudpie during our learning at home time. As a long time book lover, I know the power that literacy can have in an education and in life as well. We started early on by surrounding her with books and reading to her regularly. I loved seeing her explore books on her own at such an early age. Now that we are doing preschool at home, it’s really starting to sink in that my little gal is getting closer and closer to the point where she will start to read on her own. 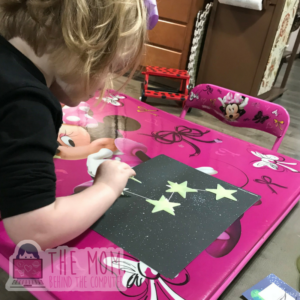 Throughout this year, I’ve been researching ways that I can incorporate those early skills that will come together as she starts to learn to read and write. I’m not an education major, so pulling together lessons, tools, and games became a self educated, DIY experience. That process went well enough, but was a time consuming rabbit hole to navigate. 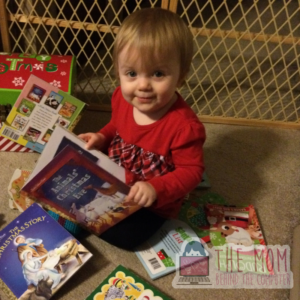 One of the things that I loved the most about Mother Goose Time curriculum is their emphasis on literacy. The people who create this curriculum are pros, so I no longer have to wonder if I’m incorporating the most important skills needed into our lessons. It’s already done for me. I love that each month with Mother Goose Time, we receive a full sized themed book that we can add to our library here at home. The books have great illustrations and include activities that Mudpie can interact with in the book. In addition, other activity suggestions with the book are added into the teacher’s guides as well. I love seeing my little girl’s love of reading grow and know I’m giving her the skills she needs as she starts her own reading adventure! Unboxing this month’s Mother Goose Time curriculum was a lot of fun. The theme this month is Ocean Commotion, so there were plenty of sea animals and plants. There were some really nice manipulatives in this month’s box and I love the ocean letters book that was included as well. I learn a lot just from taking a look in each month’s box. Check out the video above to see what’s included in this month’s box! Our first week with Mother Goose Time went really well! As with any new routine, we are still trying new things and finding our rhythm with the program. The circle time routine is fairly different from what we have been doing for circle time since the beginning of the year. I really like the format of Mother Goose Time’s circle time, however it does feel (understandably) more centered around preschool or daycare centers. I think that as we continue with Mother Goose Time, we will probably find some combination of the activities we used to do and the activities suggested from Mother Goose Time. I have been really enjoying exploring the different activities with Mudpie and learning more about space myself. So far, my favorite day of activities has been our day learning about stars. 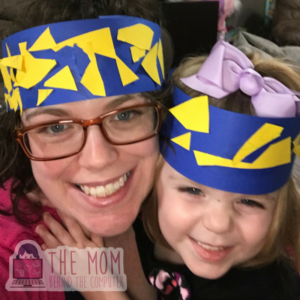 Mudpie made both of us star headbands during the Make and Play activity and she her own constellation after learning about what constellations are. We also played a fun star game that helped her work on her counting skills but also gave me an opportunity to teach her about graphing and greater than/less than. I also really enjoyed our day that was centered around the sun. Mudpie made a sun mask during the Make and Play activity and we practiced and later that evening performed a small song for my hubby and my parents. I was a little surprised that there wasn’t a general teaching section for each subject, but the way that Mother Goose Time lays out the teaching opportunities is even better because preschoolers learn best by doing. Each teaching opportunity is tucked inside an activity where they are either doing or creating. I’m looking forward to learning more as we continue with this curriculum. 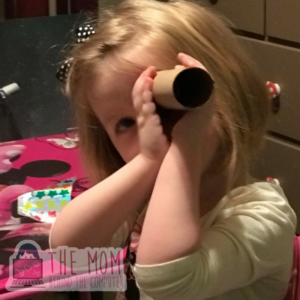 I hope you’ll join me as we explore during this part of our homeschool journey! Mother Goose Time Unboxing – Blast Off to Space! After a recent search of preschool curriculums available, I settled on Mother Goose Time for our homeschool time. Recently, we received our first month’s box of supplies for the program and I am so excited to bring you along with me as I unbox everything we need as we “Blast Off to Space” this month! The supplies and materials needed for each day are separated into different bags. No sorting through a big box of supplies each month! Everything that is needed for each activity (other than basic supplies that you will likely have on hand) is provided! I love that I don’t have to spend hours tracking down supplies that I will only use a fraction of for learning activities. I’d much rather spend time that time playing with my little gal. This curriculum is in-depth and covers so many areas of learning, while pulling it all together under a central and fun theme. The illustrations on all of the supplies are so adorable! 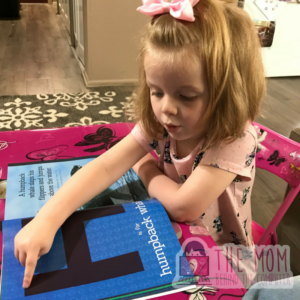 There are awesome activities and supplies, like board puzzles and a book, that will used over and over in our home. I am so excited for us to jump into the curriculum this month and, of course, share our experiences with you! I just recently realized that I no longer have a toddler. Now that Little Gal is three, she is considered a preschooler. How in the world did that happen?! We’ve been doing relaxed, organized learning in some form for a year a half. Now that Little Gal is older, I’m working to create more routine and structure in our learning day. Nothing too intense since I do believe that the majority of learning at this age comes from play interaction, but just some anchor points to give us a little more structure in those sometimes unpredictable at home days. 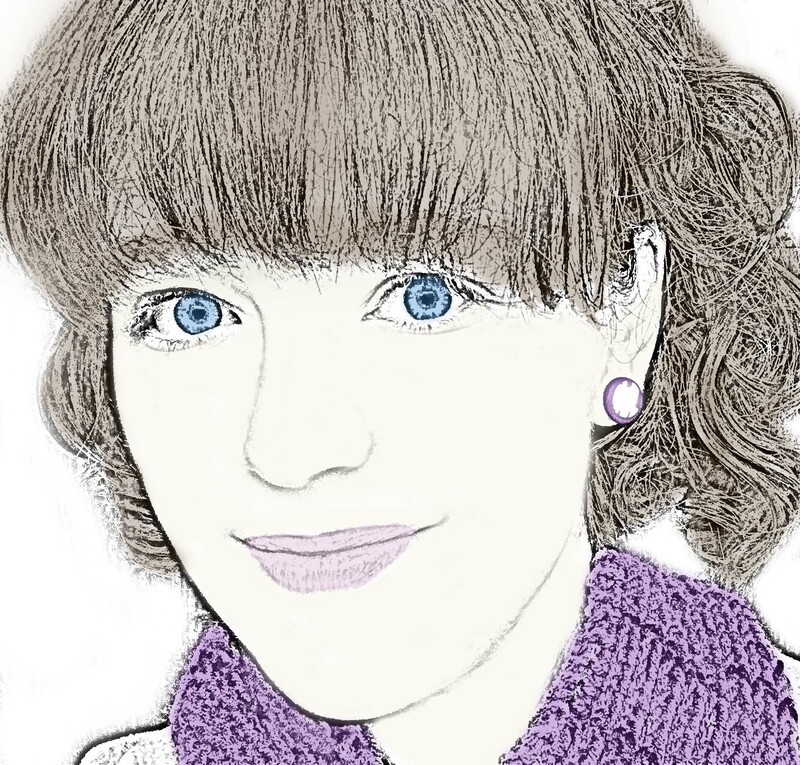 I’ve also started planning for our homeschool time in a new way this year – using OneNote. I’m really finding OneNote to be a great fit for my prep and planning time due to the flexibility of being able to use it on my phone, tablet, and laptop. I love that I can embed YouTube videos for our learning time right into my plan for that homeschool day. I’m definitely not a homeschool pro, but little gal and I are learning together. We are both really loving this morning time and our homeschool activities so far this year! 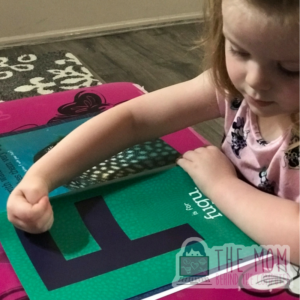 Lift and Find Toddler Game – Pin It or Forget It? This toddler lift and find game offers a way to recycle wipes containers while providing a fun and educational game for your little one. The only real challenge with this project is peeling off the wipes lids, but once that effort is over the rest is easy peasy. I used one of the free printables of shapes for this game, but I love that I can create my own games as well based on what we learning. I’m looking forward to using this game and having it grow with us!